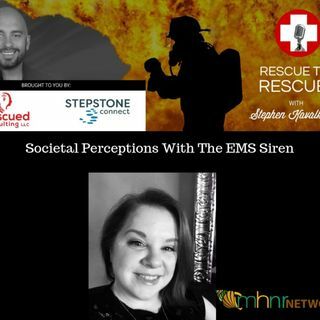 Join the well respected Blogger, Educator, and EMS Provider Amy Eisenhauer and I as we discuss the societal perceptions of substance abuse and mental health in the EMS world. Amy Eisenhauer is a dynamic presenter at Emergency Medical Services (EMS) conferences nationwide, raising awareness on topics such as provider suicide, response to hoarding events, and career development for EMS professionals. As a Certified Emergency Medical Technician, she has served the New Jersey Emergency Medical ... See More Services community as a volunteer and career provider since 1995. In addition to providing high quality medical care, Amy has taken on challenging roles as an EMS educator and training officer. Most notably, Amy is a contributing author for EMS World magazine and also hosts an interactive blog on EMS at TheEMSsiren.com, committed to improving the EMS community as a whole.